Jigjiga(ANN)-According to Reuters news today and social media posts Ethiopian soldiers were deployed to the capital of Somali State Jigjiga to arrest members of the local government triggering a clash with the regional special forces of the Somali state. 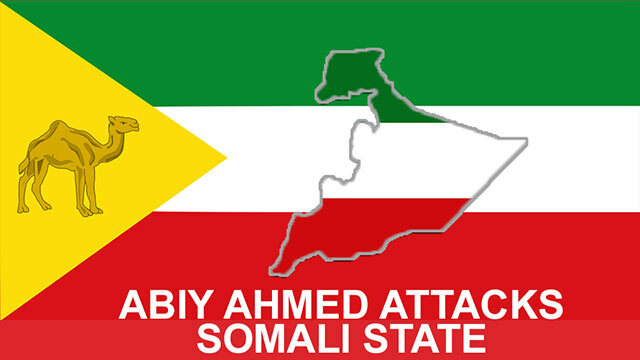 Tigrai Online credible sources indicated the fighting was going for long hours, but the Ethiopian soldiers were pushed back by the Somali state Special Forces. Eye witnesses said the Ethiopian government soldiers were trying to take over the local government’s administration offices. Some reports indicate the government soldiers are still surrounding the local governmental palace. The Abiyot Ahmed central government is out of control in 90 days he has turned Ethiopia upside down. The Tigrai state government, the Tigrai people and other states should get ready to defend themselves from this mercenary man in Addis Ababa. Last week C1-30 C-130 Hercules military aircraft carrying about 43 special commandos landed in Alula Aba Nega international airport in Mekelle the capital city of Tigrai State. The aircraft didn’t have the necessary aviation permits to land in Mekelle and no knew why the airplane was in Mekelle. Unconfirmed reports show the Ethiopian central government soldiers were there to arrest people, however as soon as the plane touchdown in the airport all the soldiers were arrested and they are under investigation. The details were murky why the Ethiopian government sent Special Forces to Tigrai illegally, but everything is clear what they were trying to do. This is the beginning of the end for the Abiy Ahmed government. It is unfortunate for Ethiopia that this man is controlled by foreign forces endangering the country. Now the possibility of civil war is getting real by the minute thanks to the coordinated efforts of Abiy Ahmed, Egypt and the United Arab Emirates.